Big Sur, on the coast of California, is a spectacular photography destination. I recently spent a day exploring and shooting in Big Sur. 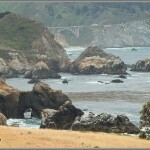 Check out my article and Big Sur photo gallery to learn more.